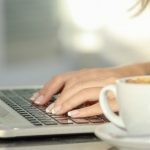 Whether you’re looking to start a blog for the first time, or making the move from hobby to pro-blogger, you’ll love these useful tips! Taking the photo is just the first step. Here are seven image optimisation tips to give your photos an SEO boost. Are you ready to start investing a little money in your blog? Here are my recommendations for the blogger resources I think are worth the price, and some others that you can get for free. If you’re going to a blogging conference soon, here are some useful tips for making sure you get the most out of the day. Are you looking for ways to help your blog grow? This guest post from Jenna at The Bloglancer is full of useful tips that are easy to put into action. Didn’t manage to get hold of a ticket for Traverse ? Here are some of the top tips I picked up while I was there as a Blogger Ambassador for Three last year.